Lake Country 5.25� Microfiber Pad 12 Pack Mix & Match. The New Lake Country Microfiber Cutting Pad uses a unique material to provide industry leading cutting capabilities, while also finishing at the same time. Microfiber fibers mat down less quickly which results in reduced pad temperatures. The Lake Country Microfiber Cutting Pad Foam interface design offers superior durability and performance on dual action orbital polishers. Foam interface offers a perfect thickness for balanced and smooth operation. Consistent results in high temperature environments as well. 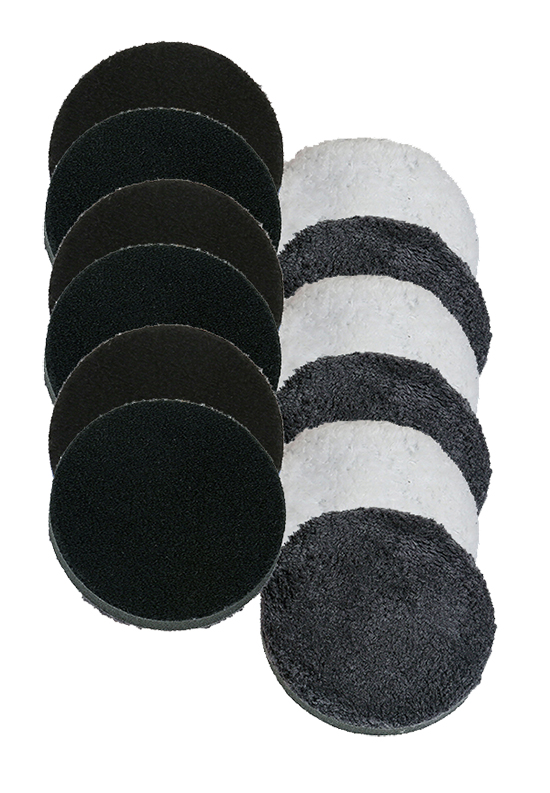 Lake Country 5.25" One Step Light Cutting Microfiber Pads are ideal for countless light cutting and polishing applications and it falls between cutting and polishing for pad aggression. The Lake Country 5.25" One Step Light Cutting Microfiber Pad is made of a longer plush microfiber blend for correction capabilities such as swirl mark removal and it also has capability to leave a remarkable final finish. The Lake Country 5.25" One Step Light Cutting Microfiber Pad is more resistant to matting for less cleaning and prolonged use making it perfect for consumers as well as high volume detail shops and car dealerships. The medium density orange foam interface supports the microfiber of the Lake Country One Step Light Cutting Microfiber Pad for durability and performance as well as consistent results. 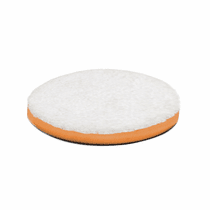 Reach for a fresh Lake Country One Step Light Cutting Microfiber Pad for each time you change to another type of polish as to not mix polishes on the same pad.